Essences are made of flowers with the crystal or geode method used by Andreas Korte for energy transmission, without damaging any living being. These essences are elaborated with a lot of respect and love for nature. They are energetic essences; their work is vibratory and they operate at all levels from the physical to the more subtle. They are recommended for the harmonization of the individual in its process of individualization and union with the collective. These essences act for a greater harmonization and integration of the conflicts to be solved. They are essences of a very high vibration, for works of refinement in our process of growth. They are fully compatible with other vibratory essences of other systems such as the Bach Flowers or the Mediterranean Flowers. 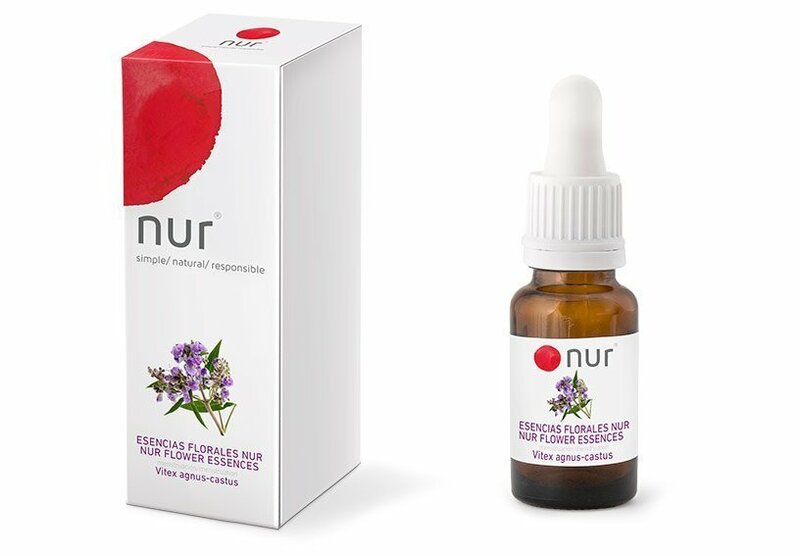 Vitex regulates the hormonal cycle, relieves the effects of premenstrual syndrome, neutralizes estrogenic excess and relieves fluid retention. It is also suitable for irregular periods, amenorrhea, anxiety, tension, mood swings and fatigue. 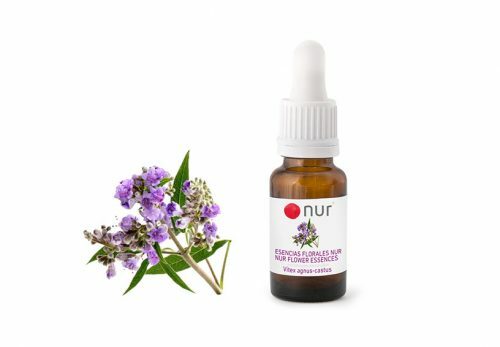 Vitex propitiates that the menstrual cycles are regular and helps the production and maturation of the ovules increasing the levels of progesterone, a hormone that acts during ovulation. It also has a sedative and relaxing effect. On an energetic level, Vitex is an essence of the assumption of femininity that acts on the pituitary gland, a gland that regulates the endocrine system and, on an emotional level, the vision of oneself. It harmonizes the cyclical vision of femininity. 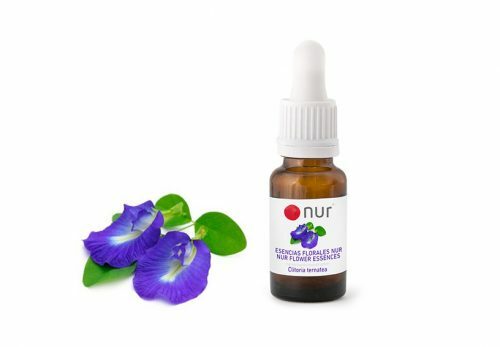 Clitoria acts on an emotional level, since the alterations of the menstrual cycle are usually caused by the rejection of femininity, guilt and fear; Clitoria helps to release emotional blocks and promotes resituation to traumatic situations at the sexual level for the resolution of these conflicts. It also helps to release memories of pain due to loss or abortion. At an energetic level, this essence works for the assumption of femininity, regulates and aligns the root chakra and the second and directs the energy towards the heart. Orally, take three drops, three times a day, sublingually, for at least two complete menstrual cycles or until the pain subsides. The Flower Essences do not have negative side effects since they do not contain material substances that can provoke them. Neither create addiction nor can cause an overdose. · When the shots start, the symptoms seem to get a little worse. It is the so-called primary reaction and it will not last more than a couple of days. · Dreams become more intense on consecutive nights at the beginning of a new treatment. · For a short period, you may experience greater sensitivity to external factors. · In general, both concentrated essences and mixtures have a bit of cognac or brandy as a preservative. Nevertheless, this amount is so low and taken in such small doses, that alcohol is insignificant for our body. It is always possible to reduce the intake with mineral water or juice. It is possible to take Floral Essences even when following a medical treatment, since they are not composed of any material substance that can interfere or interact with conventional medicines, and these act on a physical level, while the flowers do it on a psychic level. Nor do they affect treatments with psychotropic drugs. In addition, they can combine with other flower essences, such as Bach flowers or Mediterranean flowers. In any case, it is always advisable to consult with the doctor or therapist in advance.